"I've Got A Wedding To Plan! 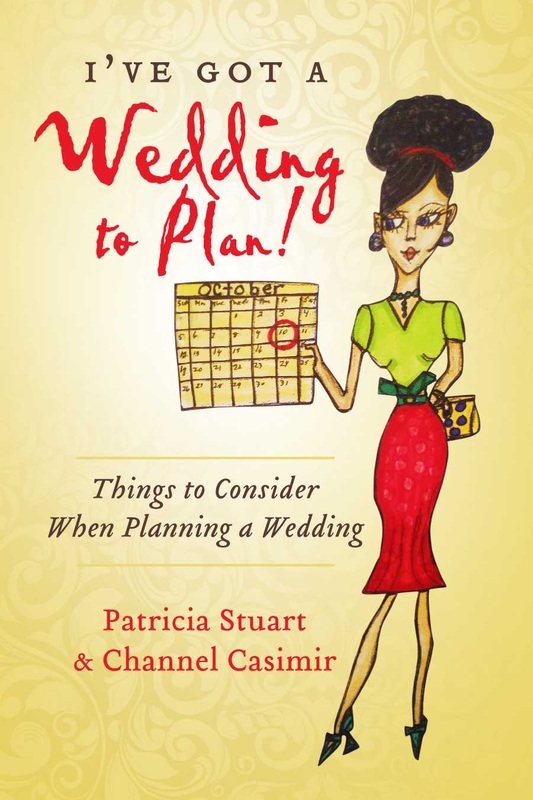 : Things To Consider When Planning A Wedding by Patricia Stuart and Casimir Channel is a must-read for any woman planning a wedding or thinking about planning a wedding in the near future. This book contains every detail a bride-to-be needs to cover, from the photographer to the DJ to the cake and flowers. Everything from A to Z is covered in this essential book for all wedding planners. I loved everything in this book. I loved the bullet points and the bold headlines which made it easy to see the important 'do not miss' sections. I loved the personal stories included by the authors Patricia Stuart and Casimir Channel. The personal stories within the text really made the book seem so much more authentic than a straight 'how to' book. I thought the inclusion of questions to ask a potential photographer was genius. As a new bride-to-be, you don't always know what is important. But I've Got A Wedding To Plan! : Things To Consider When Planning A Wedding helps keep you on track so you know exactly what questions to ask so that you can pick the absolute best caterer, reception hall, or ceremony destination for your perfect day. I also appreciated the fact that this book for brides included activities and suggestions for the fiancé, who should also be involved in the wedding planning. This book will appeal to both the bride and groom-to-be and should be a must-read for both!" "What a fantastic book to have. It sets it out clearly what needs to be done and how to go about doing it. I am so pleased that I got this book as it has helped me prioritise the jobs that need to be done before a wedding. It has even mentioned things in here that I had totally forgotten about. I can't stress how good this book has been at organising my relatives wedding, A real must for any getting married in the near or far future." "This is an easy to read book that is straight to the point! It's informative and helpful!" "I would not have thought in detail about some of the things involved with wedding planning. Hmm.. good to know..."
"I'm getting off to a good start with this book and the helpful suggestions!" "This book is practical and easy to understand. I like the approach the authors took and they are speaking from personal experience!" "This is a helpful manual on wedding planning. I love the eBook price too!" "There are things in this book that I would have never considered important when planning a wedding. I saw what I needed and didn't need. I learned that I could do without some of the things I was planning on having for my wedding. What a helpful guide book this is!"